Bumble and Bumble’s cult-favourite Surf Spray is getting a new baby sister. 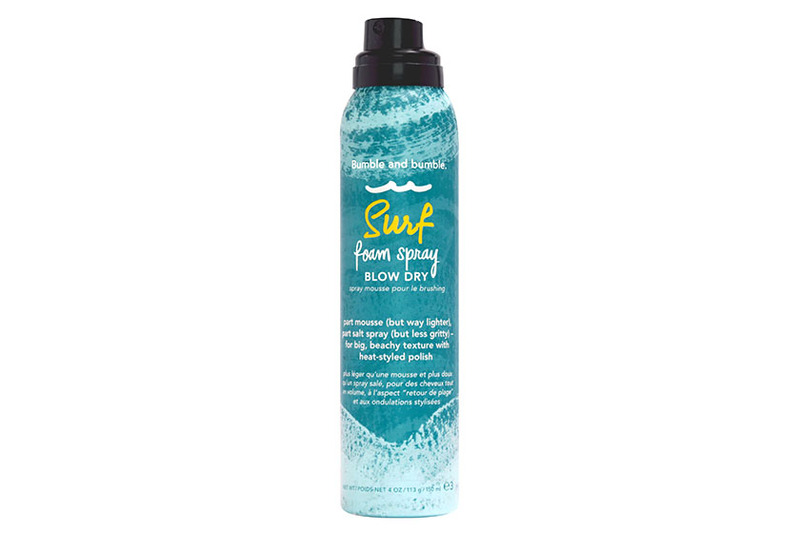 Coming this April is the Surf Foam Spray Blow Dry, a heat-activated hybrid product that offers the volumizing result of a mousse with the texturizing of a salt spray. Meant to be used on damp or dry hair before blow-drying for maximum lift, the fine, frothy spray goes on white like a dry shampoo before fading to invisible—with no residue, even on dark hair. In testing, we found that this new addition delivers on its promise of imparting the most volume in Bumble’s Surf line (the trio is rounded out by Surf Infusion, a spray for soft, shiny waves). For the final effect, think Catherine Deneuve’s Parisian polish meets Gigi Hadid’s California cool.